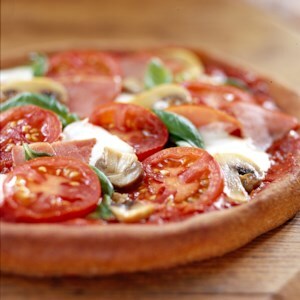 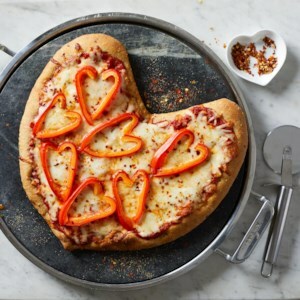 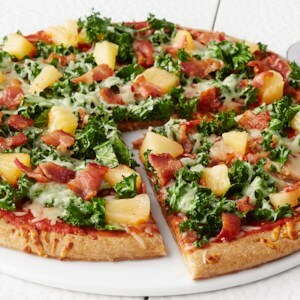 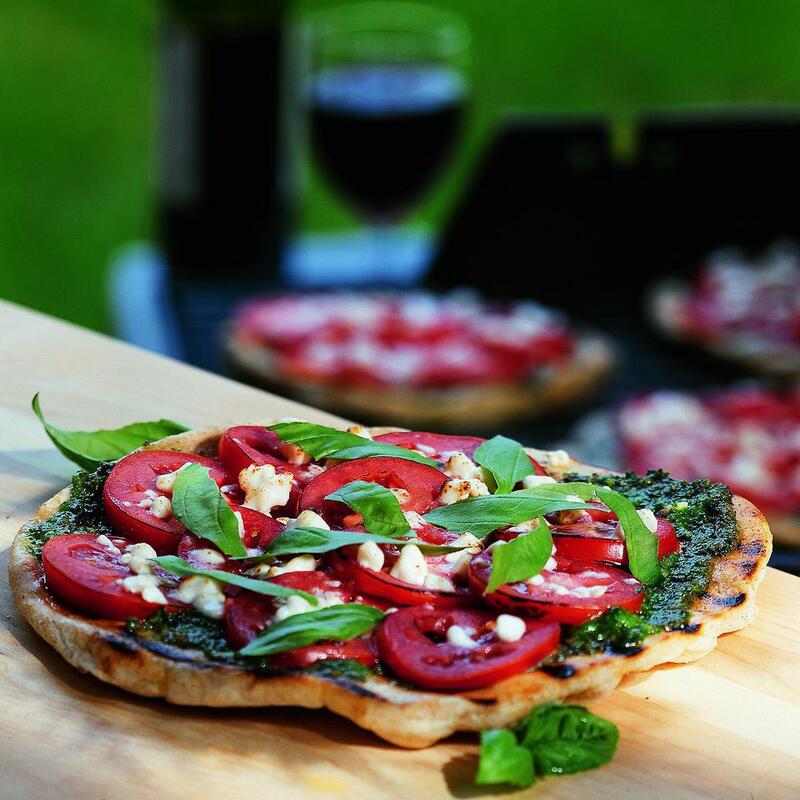 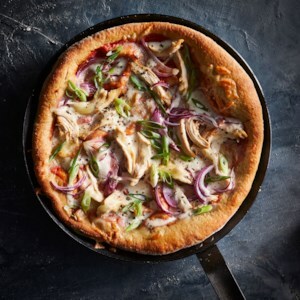 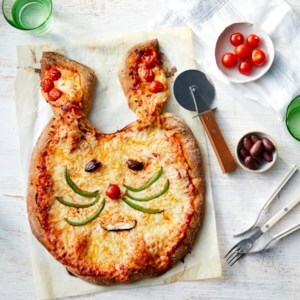 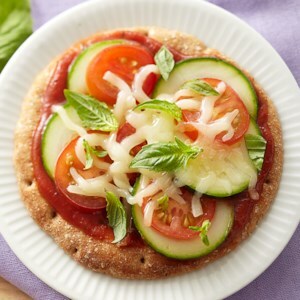 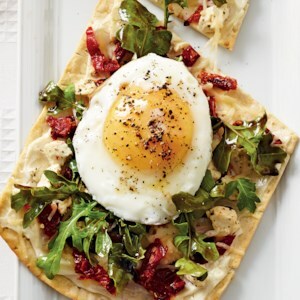 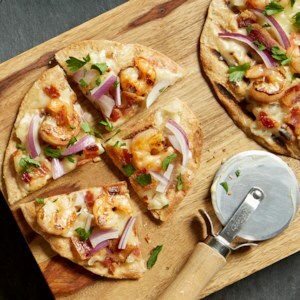 Learn how to make healthy, homemade pizza recipes and get healthy cooking tips for pizza dough, pizza sauce and toppings. 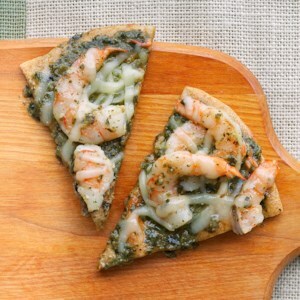 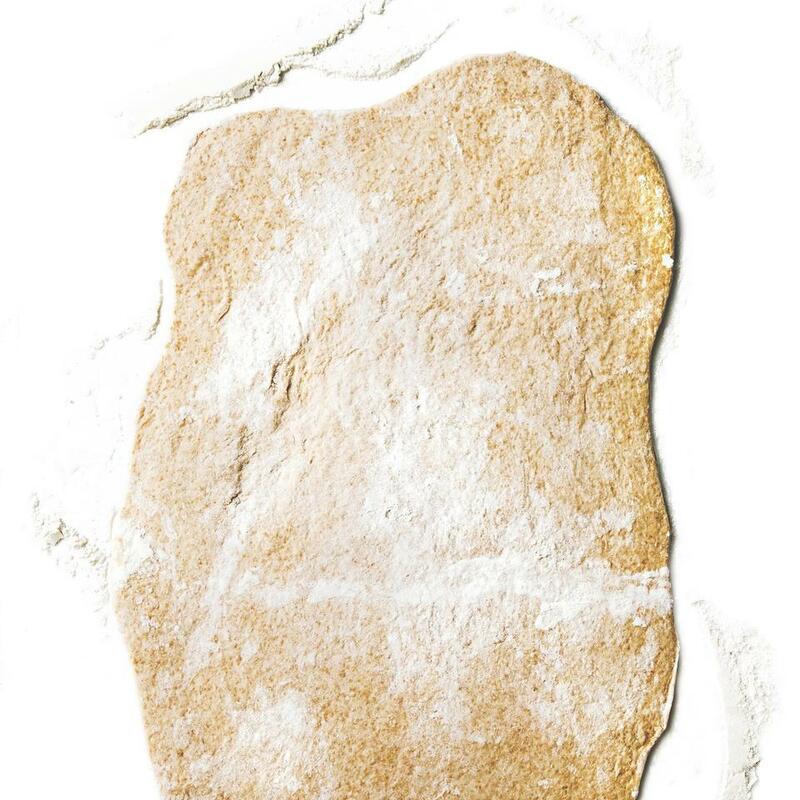 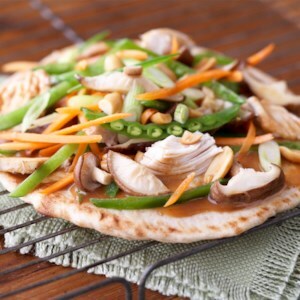 Spread on the pizza dough, the curry sauce adds just the right amount of Thai seasoning and spice. 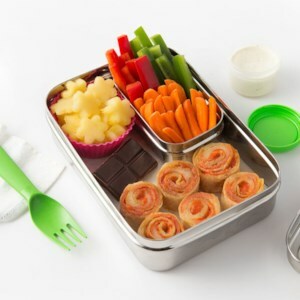 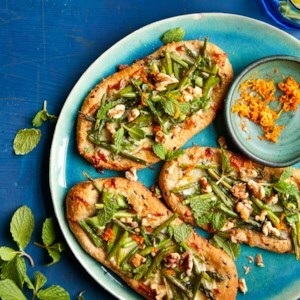 These cute mini pizzas are topped with asparagus, walnuts, mint, orange and smoked mozzarella cheese for what may sound like a crazy combination of pizza toppings, but try it for yourself. 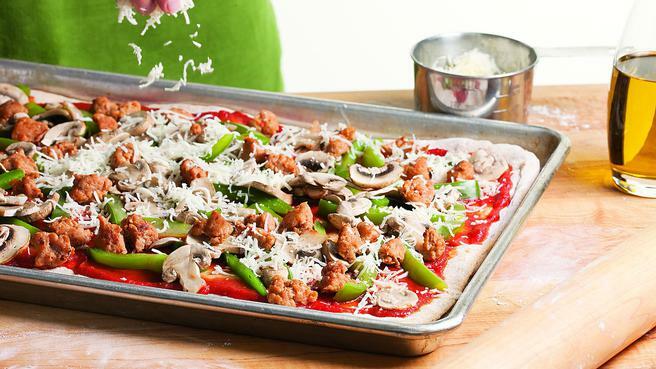 The mix puts a downright delicious spin on pizza night. 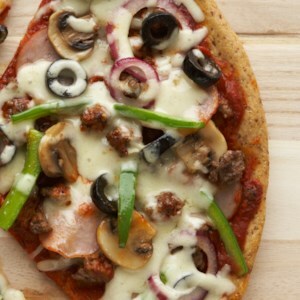 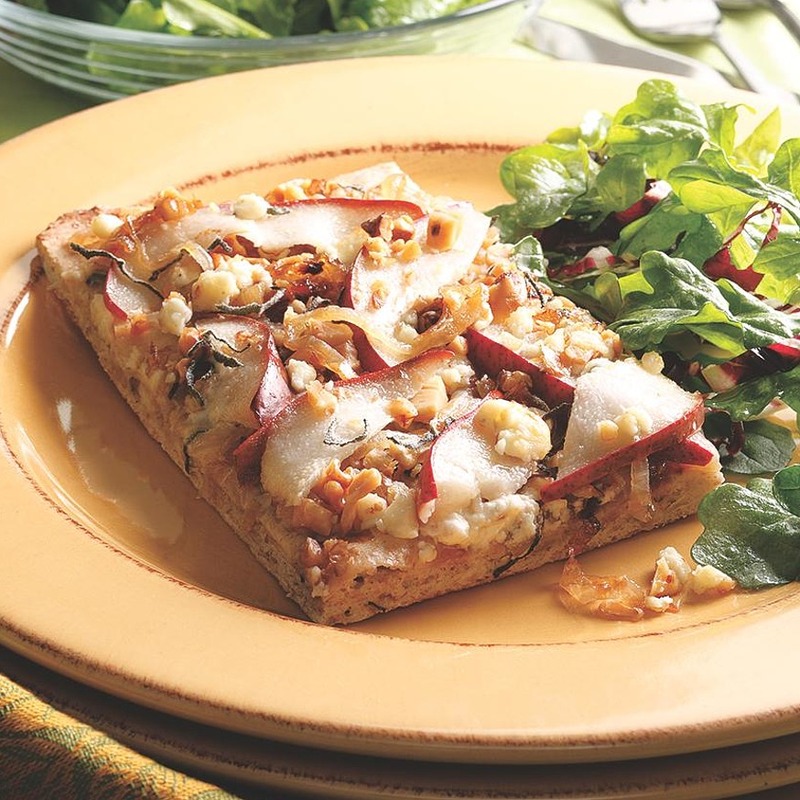 This whole-grain pizza has everything on it--sauce, beef, bacon, veggies, olives, and cheese. 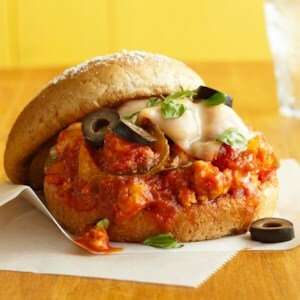 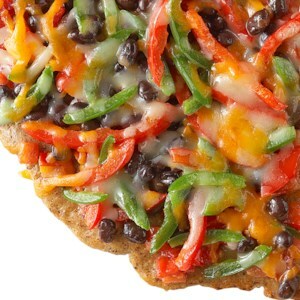 Feel free to substitute different types of meat or vegetables to suit your taste. 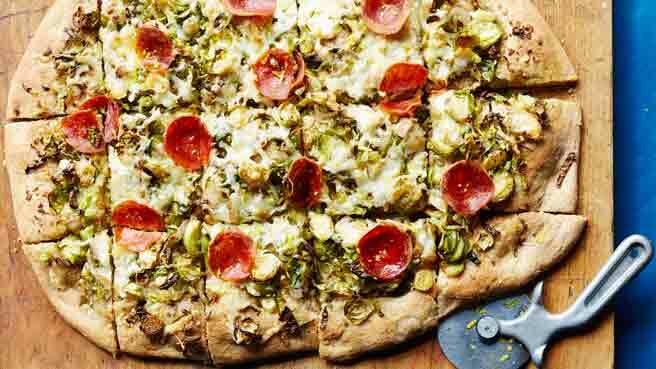 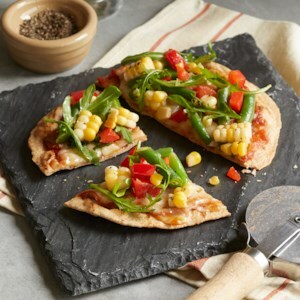 Tacos and pizza--two favorite foods--have been combined in this unique recipe. 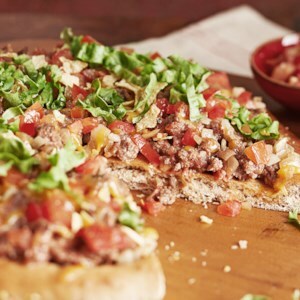 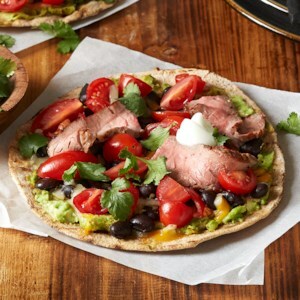 Served on a whole-wheat crust, this pizza is topped with all your favorite taco ingredients, including the tortilla chips! 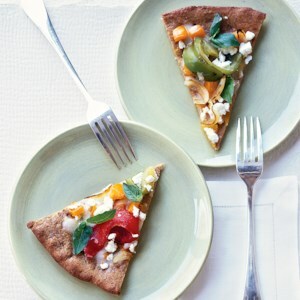 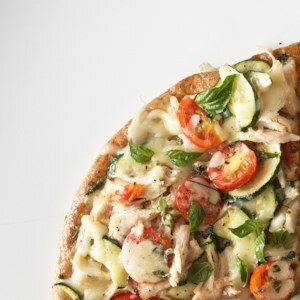 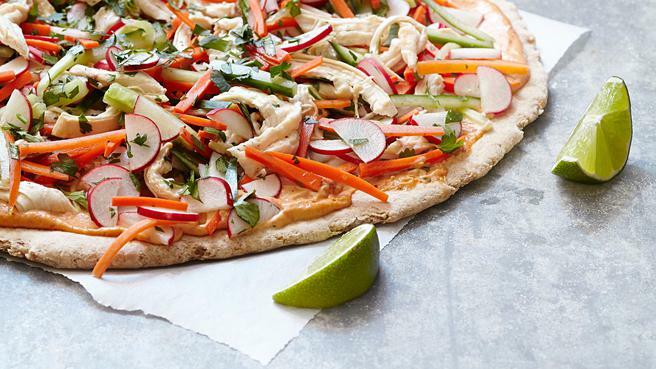 Fans of white pizza will love this version featuring chicken, veggies, fresh basil and Alfredo sauce.